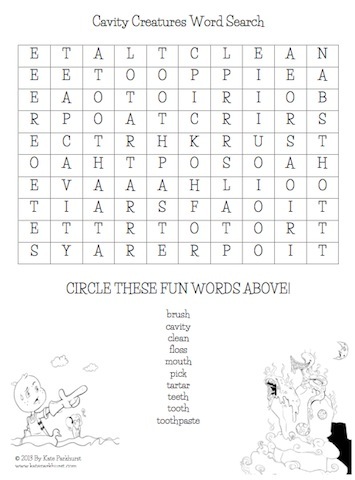 Everyone loves freebies, right? 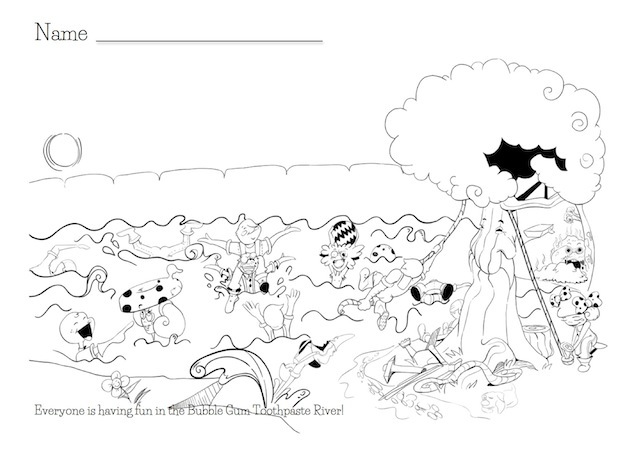 Here you can download some of our coloring and activity pages. 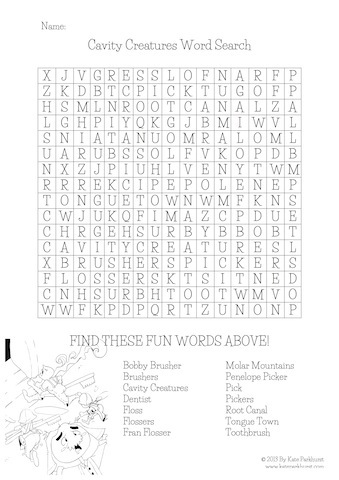 Click here to download "Brushers, Pickers and Flossers"
Click here to download "Bubble Gum Toothpaste River"
Click here to download "Cavity Creatures Easy Word Search"
Click here to download "Cavity Creatures Medium Word Search"